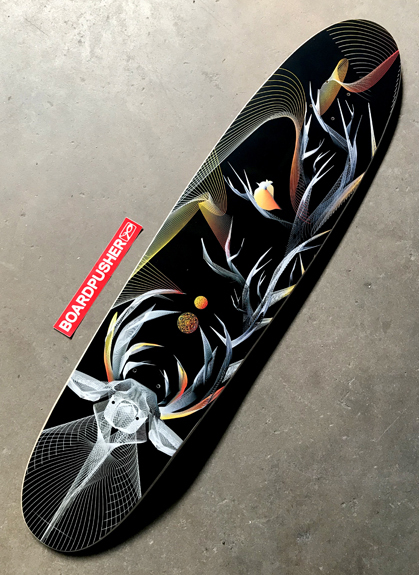 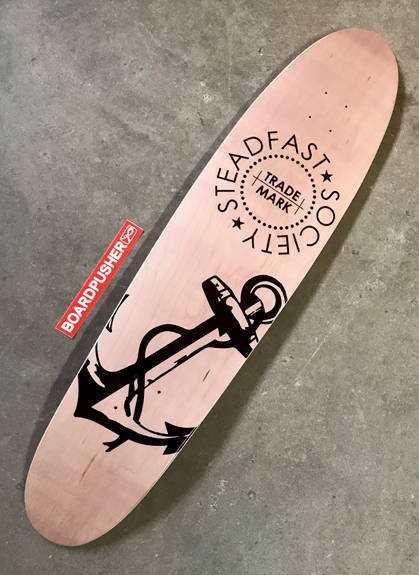 Today we have a longboard shape for our BoardPusher.com Featured Deck. 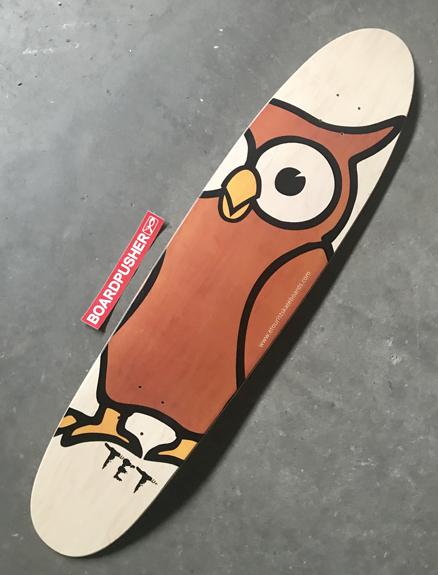 Alvin the Owl is one of David Arandle’s original designs and has adopted it for his moniker The Extraordinary Tourist. 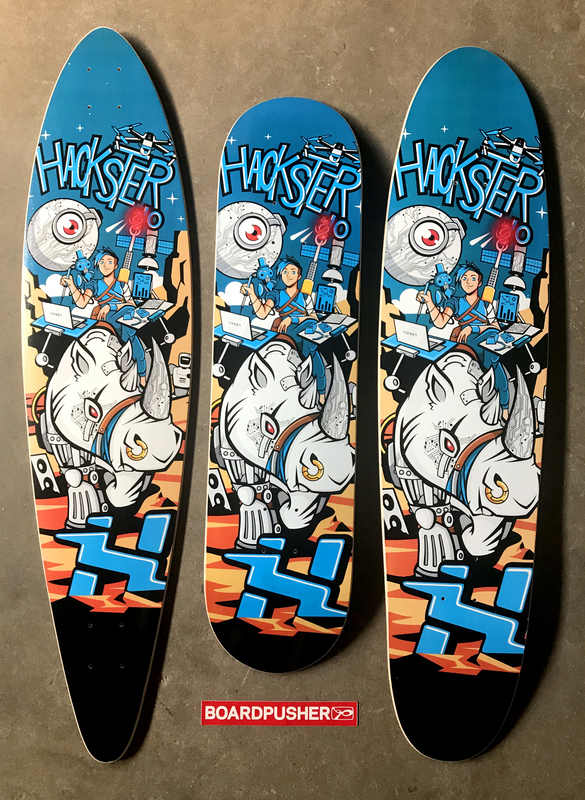 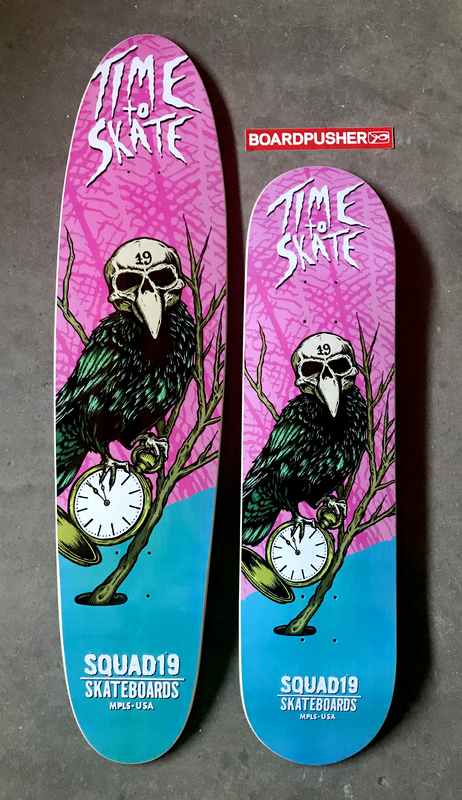 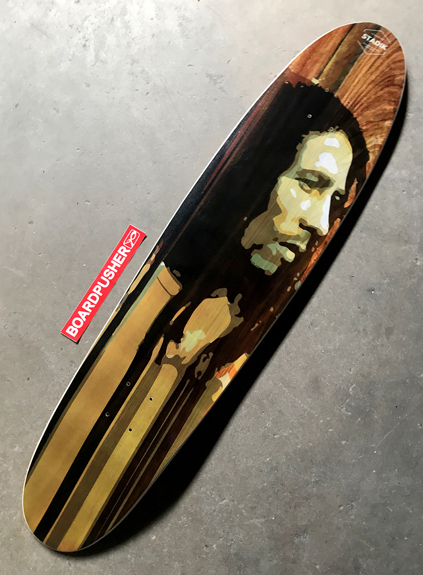 You can find David’s skateboard graphics available for sale at BoardPusher.com/shop/etourist. Design your own BoardPusher.com custom longboard graphic here. 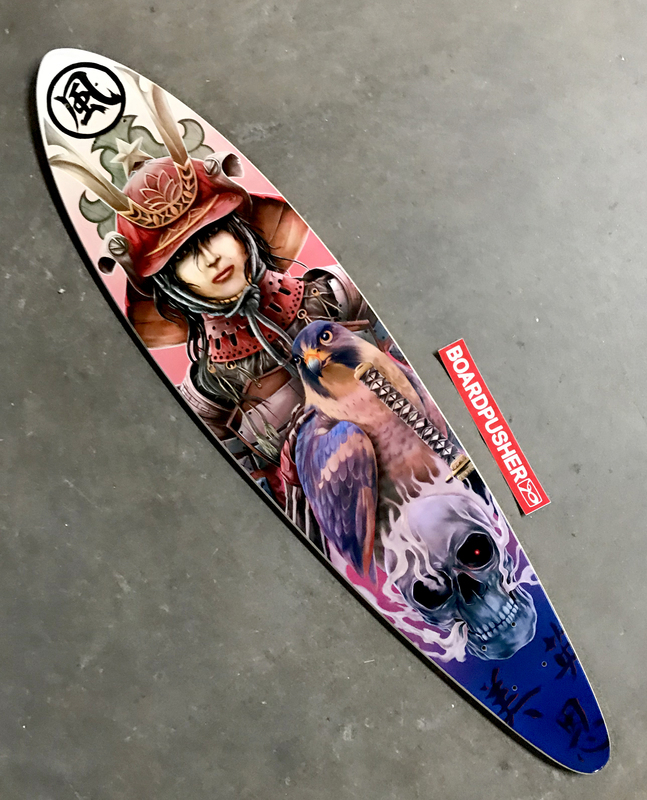 “My intent is to create a strong female figure” Cris Luspo begins when describing his pintail longboard Featured Deck, “…in the shape of a Samurai that was a profession mainly handled by men in ancient japan. 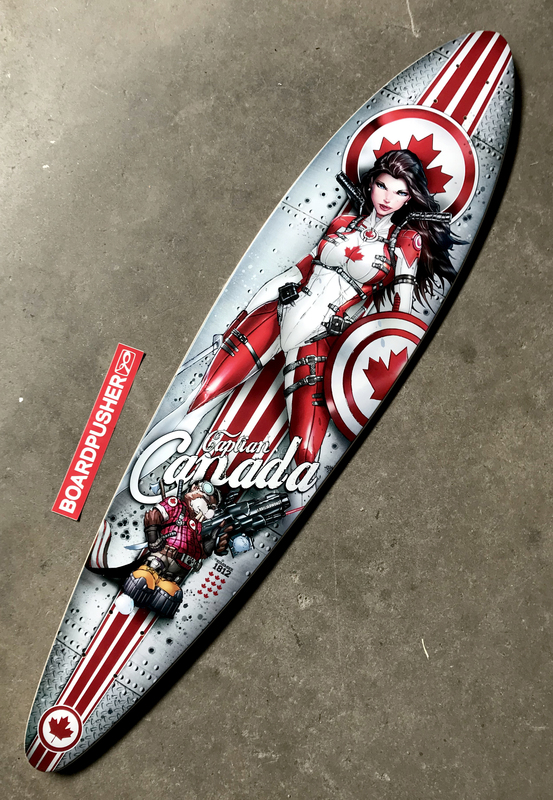 I purposely stayed away from sexualizing her, and focused on her toughness and mental focus- to say that, women can do the job too. 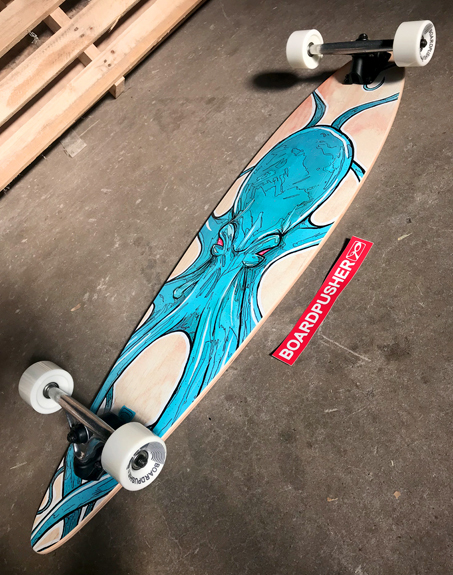 She is part of my ‘Air and Wind’ concept, which represented on the Japanese symbol and the falcon.” Cris has posted a lot of his skateboard designs at artofcrisluspo.blogspot.com or you can follow him on Instagram @art_of_crisluspo. Design your own BoardPusher.com custom pintail longboard here.